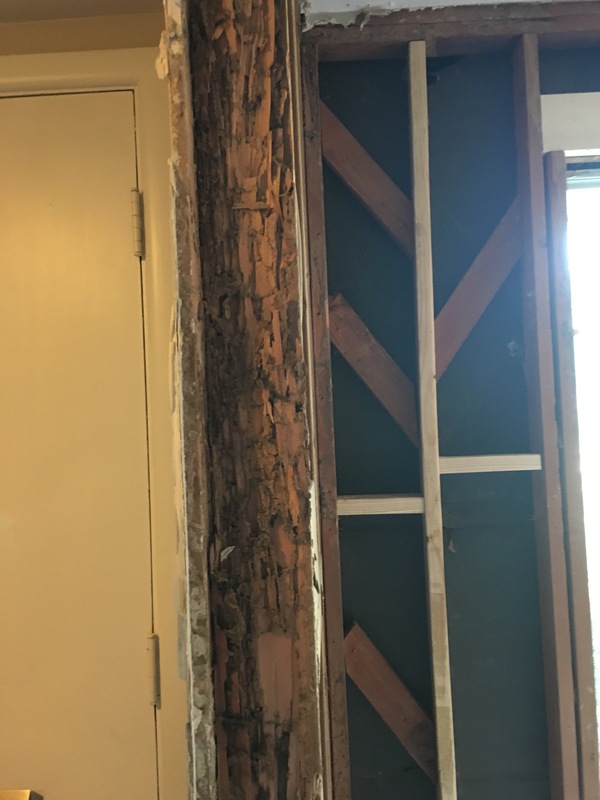 So…now that we found termite damage we needed to figure out the extent. 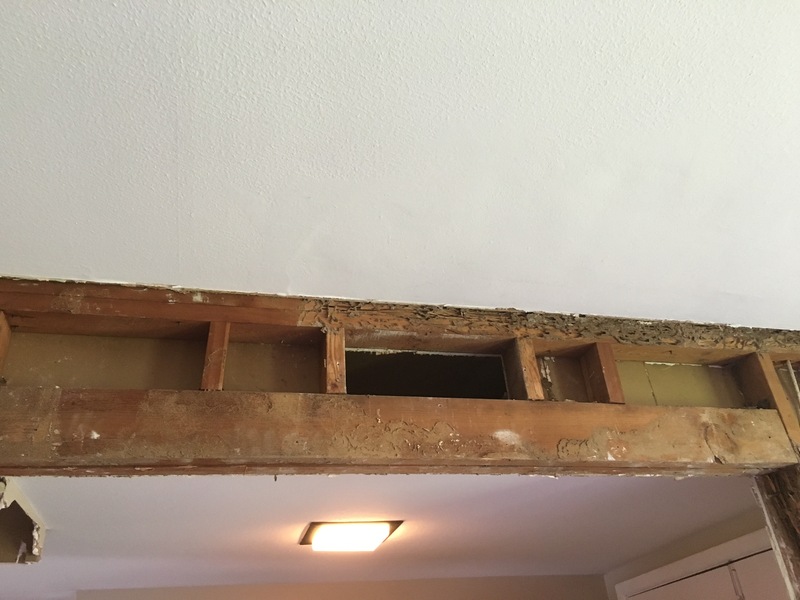 We were blessed with lots of friends and family who wanted to help so we had a work party weekend and started a layer by layer removal of damaged areas in our living room/dining room. 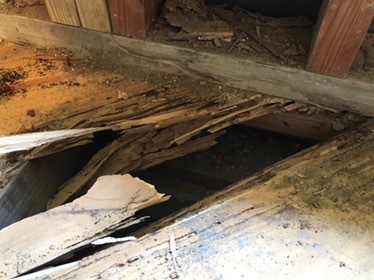 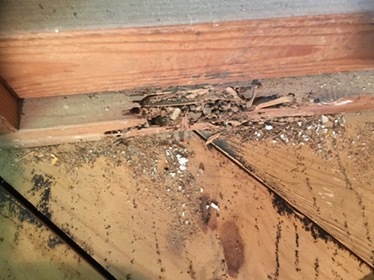 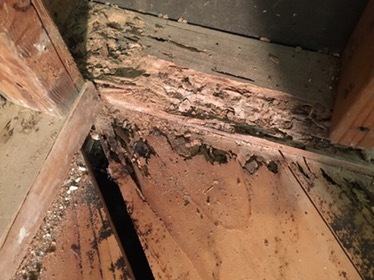 Now that you’ve seen the pictures the recap is that we found termite damage in all areas: the subfloor, the studs and the header. 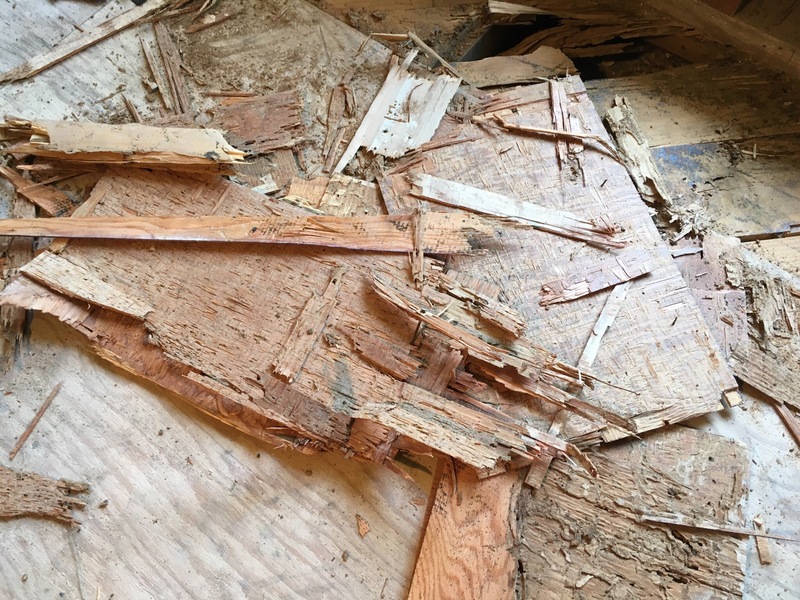 The subfloor is composed of two layers in our house; a layer of 1x6s and a layer of plywood above. 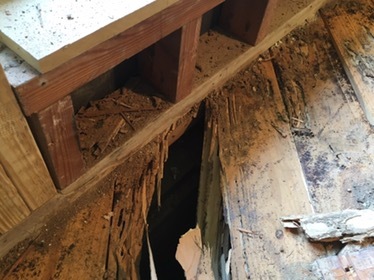 At the end of the termite demo weekend we had stripped the walls down to the studs and the floor down to the 1x6s (which sit on top of the floor joists). 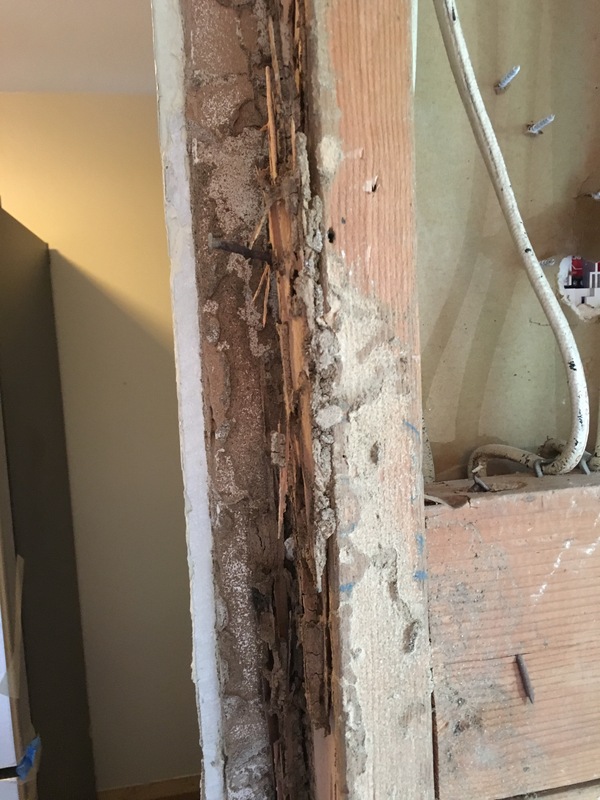 The good news is that we didn’t find any active termites! 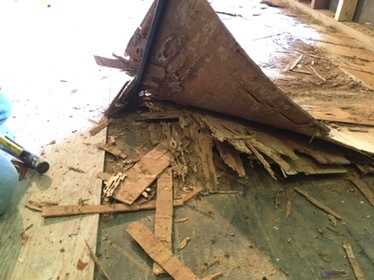 The bad news is that this has become a MUCH bigger process so we needed to stop and regroup.